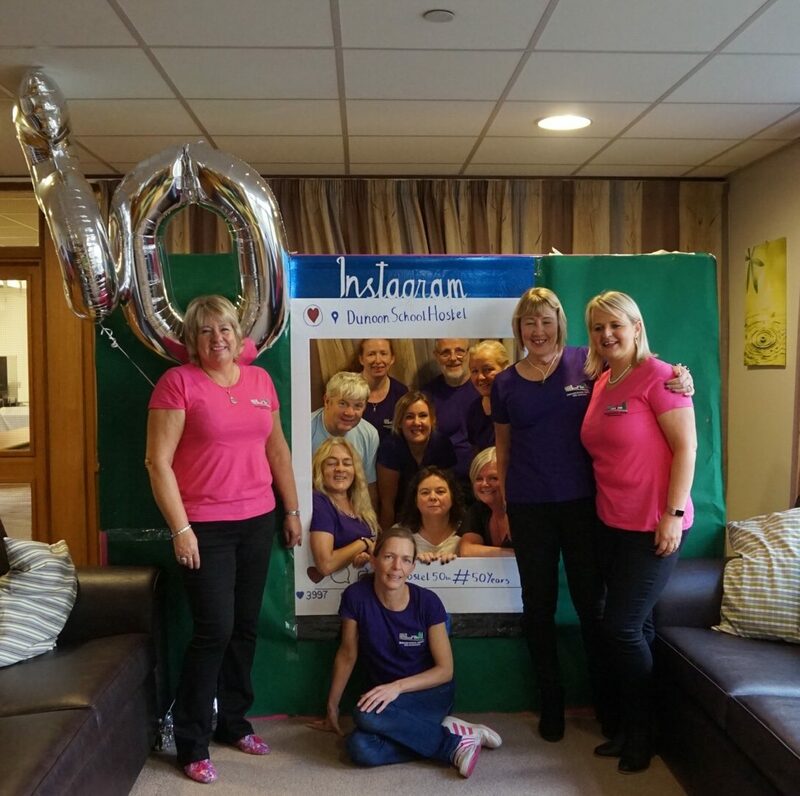 Dunoon School Hostel celebrated 50 years since it opened in 1968. The Committee have worked extremely hard to make Saturday 22 September a day to remember in Hostel History. 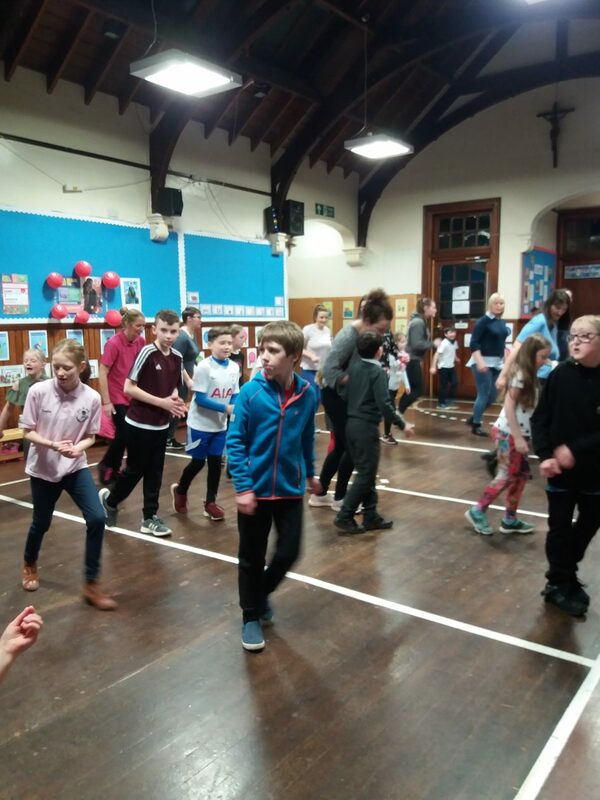 The parents, ex parents, ex young people and communities of Lochgoilhead and Tighnabruaich did not let us down, throughout the day from 11am to 3pm we had such a fantastic turnout. Minard primary School pupils and staff welcomed all parents to an open afternoon on Thursday. The pupils showed their parents around the classroom. The highlights include the Positive Pandas and the Viking house. The Kung Foo punctuation was very ably demonstrated by P4. The boys then each presented a short power point on their Viking topic. It is fair to say that there was a fair amount of competition when it came to the ‘Parent’ Quiz. 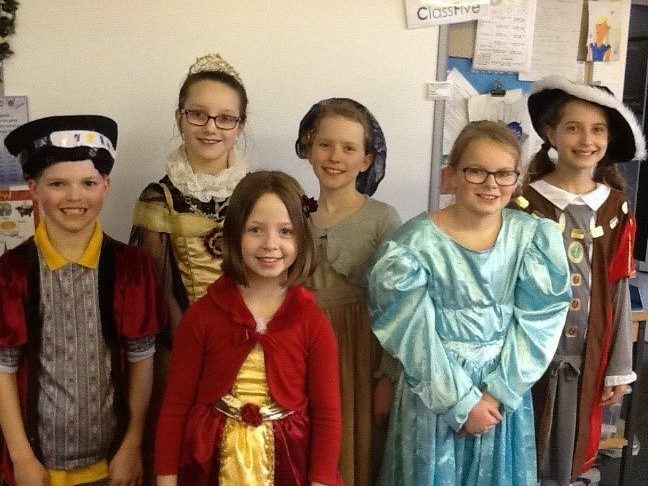 Primary 5 pupils from Rhu Primary School took part in a Tudor day to celebrate the end of their Term 3 Tudor topic. The pupils were able to dress up in Tudor attire if they so wished and took part in a range of Tudor related activities throughout the day, such as: preparing and tasting Pottage (a traditional vegetable soup); designing their own Tudor shield; making a Tudor rose; and playing Chess . Parents were invited in at the end of the day to look at the pupils work. Achaleven’s fairtrade bake-off – it’s all or muffin! 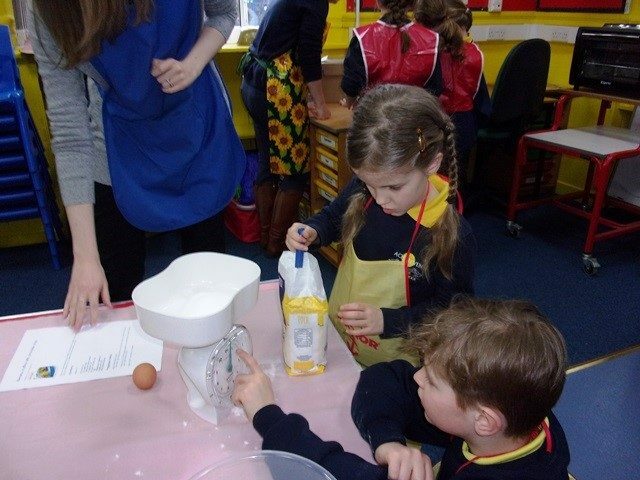 We may not have had a fancy tent but there was fierce competition last Thursday when our Fairtrade Bakeoff took place at Achaleven Primary. Thank you to Mrs Dundas, Mrs Ferguson, Ms Buchanan and Charlieanne for their assistance with the all-important first stage of the signature bakes. The pupils put their maths skills to good use weighing out all the ingredients. 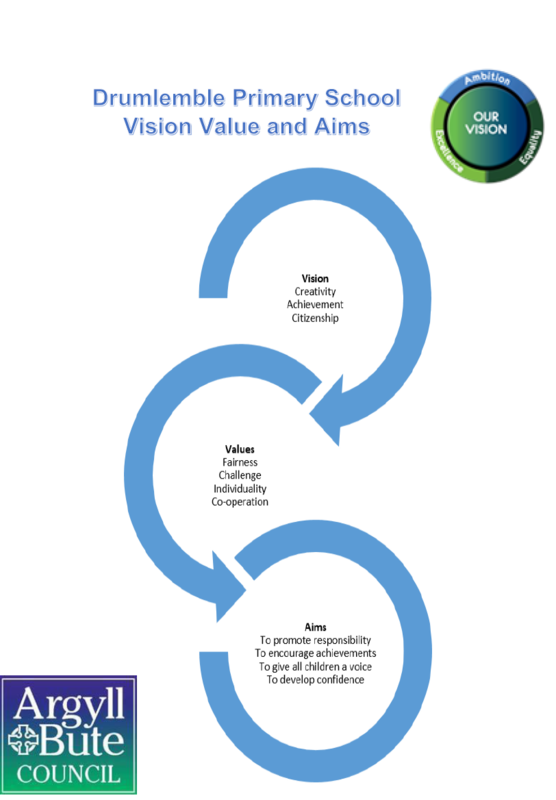 The children have been busy creating characters and a book to demonstrate how the school’s Vision, Values and Aims are embedded into school life. We are asking parents to take a look at the book the next time they visit the school. Below are a selection of some of the pages from the book. 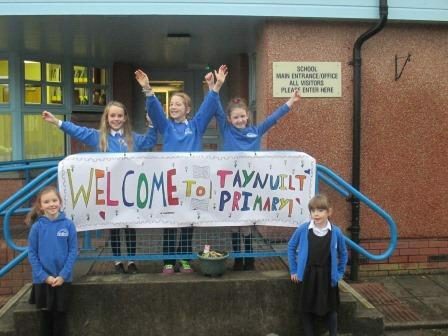 This term Taynuilt Primary had our first School Environment Day. 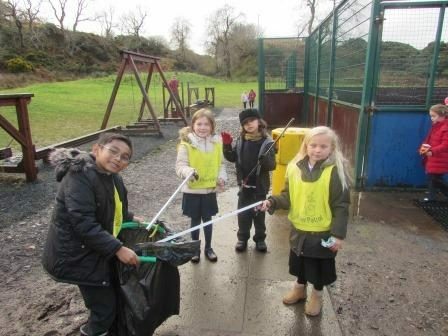 We worked together in our Clan teams on lots of tasks to make our school environment tidier, brighter, more welcoming and caring for everyone who comes here. Lots of fantastic mums and dads came to help us. We painted wallboards, dug up enormous bushes, cleared out loads of rubbish, power-washed paths and benches and laid bark chippings. We even had all our windows cleaned inside and out so everything really does look brighter! Thank you very much to everyone who helped. On Thursday 2nd March 2017, Achaleven Primary School joined Lismore Primary School for a Fairtrade Challenge Day. 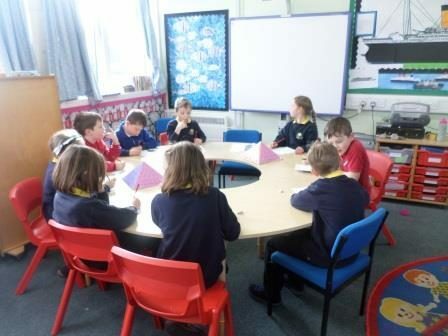 Both Achaleven and Lismore are already Fairtrade Schools, so this year they decided to get together for a Fairtade Fortnight event. Achaleven pupils travelled by ferry from Oban to Achnacroish where they were greeted by Lismore P7s who accompanied them to the school. We had a wonderful day Celebrating the 20th Anniversary of World Book Day. Thank you to our parents and community for joining us to share our world of books. 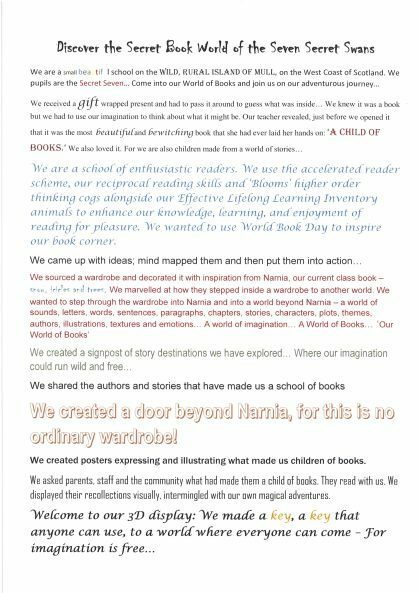 We are delighted to announce that we came as a runner up in the World Book Day competition. “Welcome to a world of books. Imagination is free. Anyone can come. After reading The Lion the Witch and the Wardrobe we wanted a wardrobe to walk through too. Arinagour Primary School presented with their Gold Flag Award for 2016 – 2018. 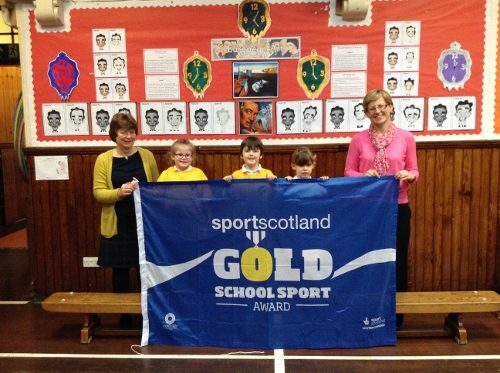 On Monday 6th March Arinagour Primary School were presented with their Gold Flag Award for 2016 – 2018. This award formally recognises a school’s achievement in putting P.E. and school sport at the heart of planning, practice and ethos. The presentation was made by Mr Stewart Harris, Chief Executive of SportScotland, Lorna Jackson, Robbie Stewart also from SportScotland and Muriel Kupris from Argyll & Bute Council made the long trip to Coll to attend the presentation. This was very much appreciated. 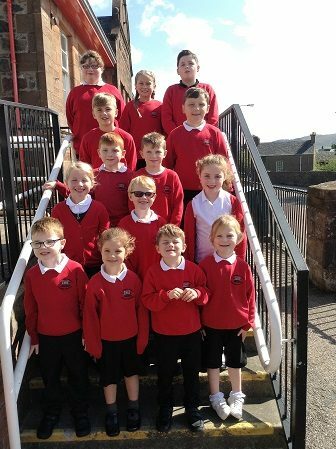 St Andrew’s Primary School in Rothesay, Isle of Bute has been recognised with a prestigious national award for innovation and achievement in delivering physical education and extra-curricular sport. 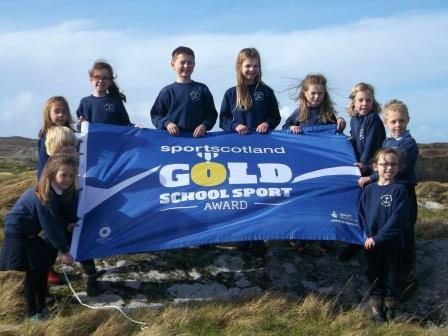 The sportscotland Gold School Sport Award was presented to staff and pupils last month, by Lorna Jackson (sportscotland Partnership Manager). 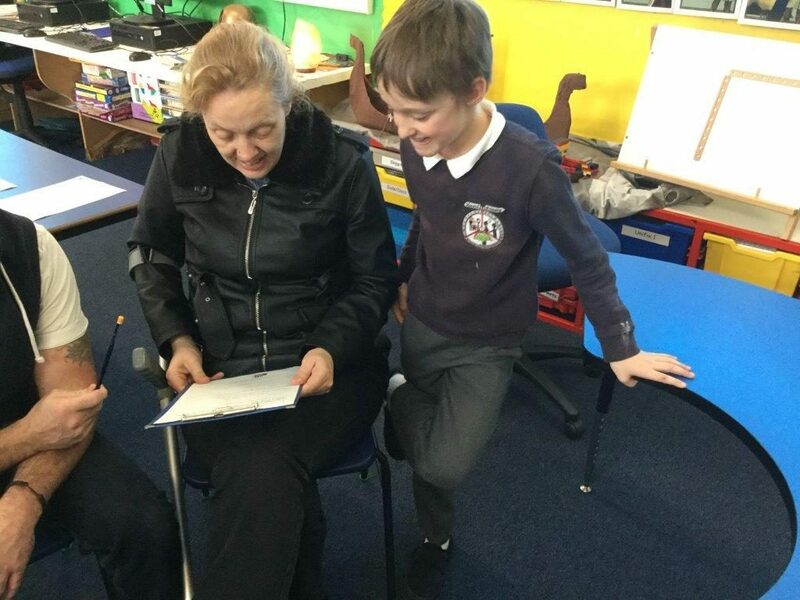 P1 teacher Tracy Campbell has taken part in an exciting new project to engage parents in their children’s learning through a Literacy Link at Dunoon Primary. 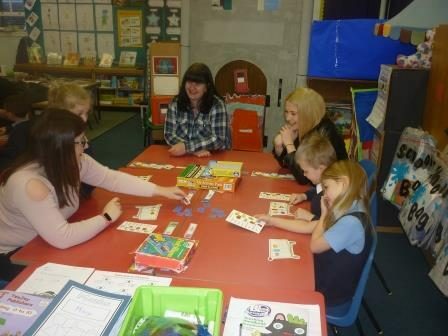 During this 4 week block parents will visit the class and play literacy games with group of children in P1. So far this project has been a resounding success for both pupils and parents. Primary 1 and 2 at Rhu continue to share the learning with their parents and carers on Friday morning. 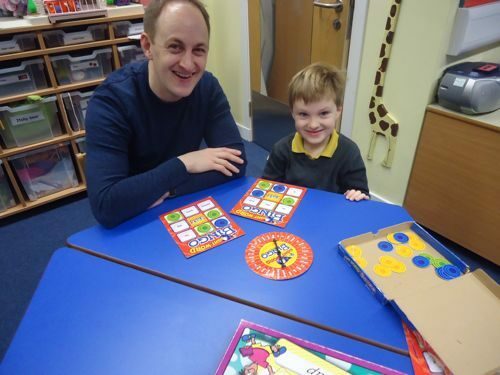 Pupils come in as usual followed by their parents who have now participated in a variety of curricular areas including literacy, numeracy, craft and dance. 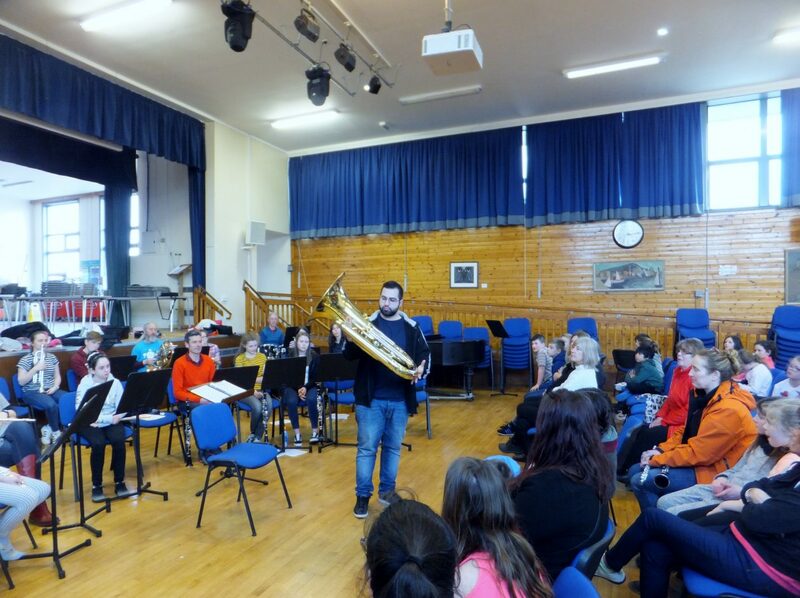 These weekly sessions are the highlight of the week, giving parents, pupils and teachers an opportunity to learn together in a relaxed but purposeful fashion. On Thursday 15th December, Colgrain Pre-5 Unit entertained their families and friends with their Hansel and Gretel sing-along. The talented boys and girls played a variety of instruments to accompany each song. Following the story they also shared a French song called Père Noël, Away in a Manger, Twinkle Twinkle Christmas Star and We Wish You a Merry Christmas. Mummies and Daddies had tea, coffee and a taste of the wonderful gingerbread stars made by the children. The show was enjoyed by all – especially the boys and girls! 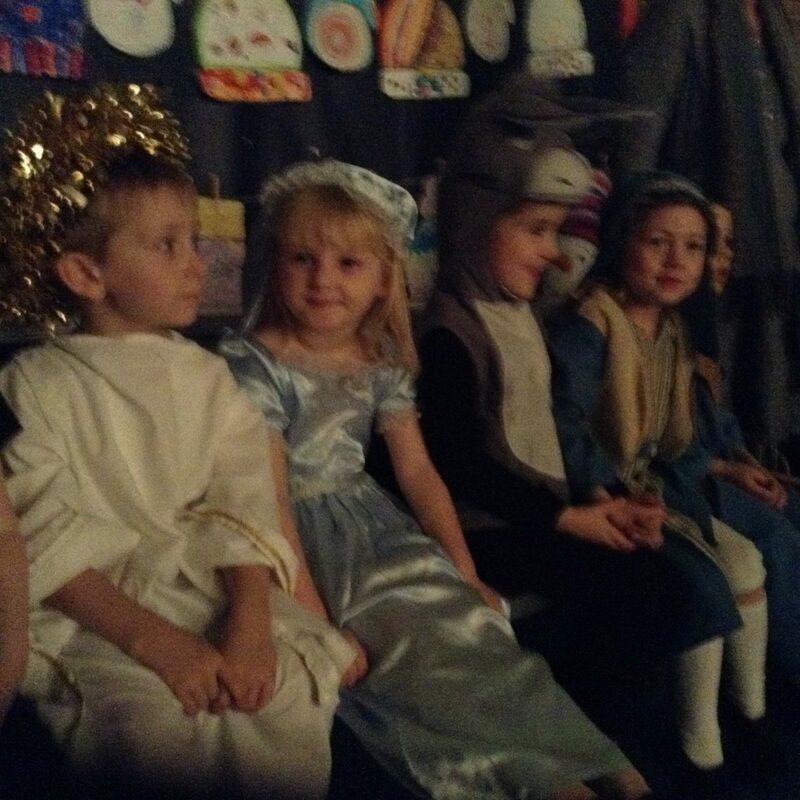 Lights, Camel, Action….Strictly the Nativity! 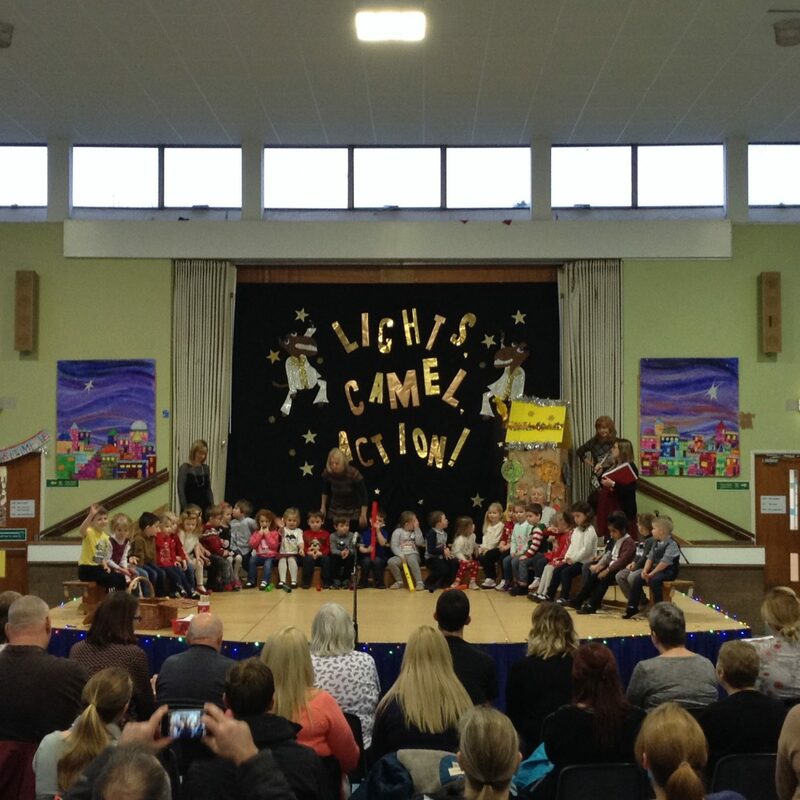 On Thursday 7th December, Colgrain P1-3 pupils entertained their parents, families and the Colgrain Community with their performance of ‘Lights, Camel, Action’.